this slab, about 48 x 120" x 3" thick was pretty nice, to say the least ... this one sports a modified, rounded shaker base and we made some of our ladderback chairs with danish cord seats to go with it on its trip to montana. 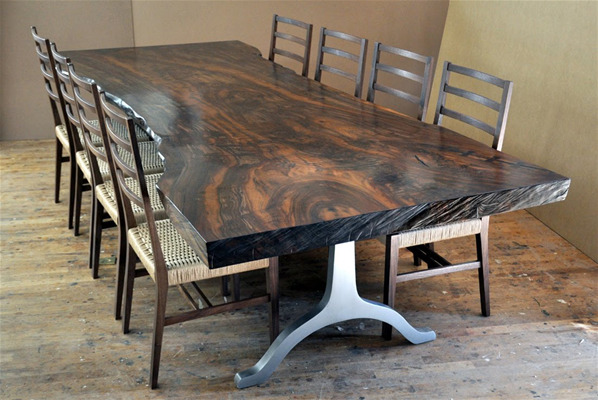 there are still slabs available like this, in fact we have on in the shop right now .. the blog post for this table is dated october 9, 2010. access our blog from the home page of this site. this table is also featured in the 'popular posts' section there.